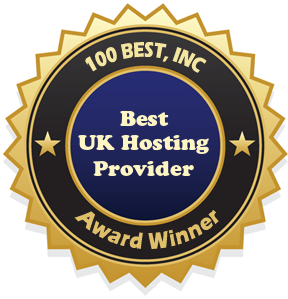 Easyspace is named Best UK Hosting Provider by BestFreeWebSpace.org because of the excellent web hosting service they offer. Easyspace was founded in 1997 and has seen enormous success because of their dedication to providing the best web hosting service with excellent uptime and reliable hosting features. Having a web host that has been through all the changes in the web hosting industry over the past 15+ years is a good thing. Easyspace is constantly looking for ways to make their service better and provide the most benefit for the best price. Easyspace will never compromise on quality to save a buck, they will always provide the best value available for the best technology. One reason Easyspace is named best UK hosting provider is the fact that they offer a huge variety of options in web hosting. Easyspace owns their own servers and datacenters (currently five in the UK) so when there is a question or issue and you ask them about it, you are talking to the source and know that it will be addressed right away. Easyspace provides four shared web hosting plans to choose from, starting as low as $3.49 per month, where you can choose what you need and only pay for the features you want. All four web hosting plans come with a free domain or new clients moving from another host can transfer a current domain to Easyspace. Choose how many email accounts you need, how much diskspace you want and the number of databases you require. Easyspace also lets you choose between a Linux or Windows hosting platform. If you are running PHP, Pearl, or MySQL then Linux is probably your best option. For ASP, MS SQL or other Windows applications choose the Windows platform. Additional web hosting features include ecommerce hosting, email hosting, website design, virtual servers, dedicated servers and domain name registration. Being one of the best UK hosting providers means that Easyspace provides numerous options to be able to meet the needs of a varitey of web hosting clients. Whether clients are looking to create a small personal website as a hobby or a business needs a small business site or a large interactive site to sell products and keep visitors up-t0-date on the latest products and services the company has to offer; Easyspace provides all the tools and features clients need to succeed. At Easyspace customers can even choose cloud VPS hosting for the best web hosting technology to keep your site loading fast and secure every single time. Easyspace reviews show that Easyspace often offers discounts and promos to get users started with the best web hosting at a discounted price. The Easyspace reviews also talk about how happy customers are that they have the option to select the right features and tools for individual websites. No more settling for a one size fits all plan. Those looking for a dedicated server can get a custom quote to ensure that they are getting exactly what they need. Easyspace really stands out above the competition because of the quality of their web hosting combined with amazing customer support. When signing up, customers can expect a welcome call to help you get setup and see if you have any questions. Easyspace hosting is easy to use but support is always available to answer any questions that may arise and the control panel contains many video tutorials to help you with many commonly asked questions. Our EasySpace review can’t begin to cover everything, if you are looking for the best UK hosting provider check out Easyspace to see if they could be the best choice for you.